Whenever you choose a business for a long-term relationship, the decision requires much thought and care. Do you think just anyone will give you the best rates on luxury car hire for all the times you have to pick up important clients and drop them between an airport and a hotel? Are you convinced a caterer is always doing the best job at your conventions and meetings before comparing her against her competition? Businesses can get swallowed up in debt and bad reviews if they fail to research services first, and that includes the services of an SEO agency. Lots of entrepreneurs consider themselves internet savvy enough to dispense with technical support. They need to create a web page — no problem. These individuals, without any code-writing knowledge, use a WordPress or Magento template and theme with drag-and-drop features plus their own graphic and written content to start a website. This site goes live when they select a web host and register their domain. Such confident individuals write attractive content, and their photographs are great. Social media campaigns are started up on YouTube and Instagram. Maybe the business person receives so much traffic he has to upgrade his hosting plan. Perhaps the internet is silent, and he wonders why. There are numerous possible reasons why the latter company didn’t experience success, but the former one did. Do you think you could pick your own internet troubles apart? Call an SEO professional located close by and schedule a consultation instead. Consultation is usually free until you make an agreement to dig more deeply, so you can talk to a few agencies. Review what data exists in the online world about your company. A lot of the statistics are technically complicated; do you know how to change those results? An SEO expert does. Data refers to loading speed, traffic to a site, how long people stay, and similar background for competitors plus much more. Internet businesses compare conversion rates with those of similar firms. Analytics also uncover the best way to phrase writing about a business online; keyword use, in other words. Explore terms people usually employ to find services you offer before they discover you exist. 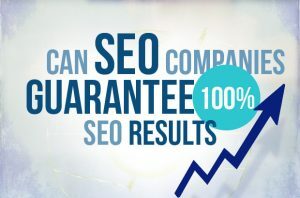 Search Engine Optimization professionals say there are companies which Google and others will not rank. There are too many red flags; problems with content or some other issues which cause the search engine to enter protection mode for the sake of the searcher. The likeliest drama is winding up on a later page, anything past the third or fourth row of listings. Page one is ideal, of course, especially the very top. But a web host can also cause trouble if this firm regularly suffers from technical problems and downtime. The web host might have issues with speed that slows down loading and creates unease in viewers. One’s very website could be the problem, but websites are easy to fix with an expert editorial eye. Marketing is just one product on offer; that is, creating online content or teaching the client how to write in a way that keywords are used enough but not so much that Bing, etc. penalize you. Learn how to apply social media, images, and reviews to your benefit. Take another look at web hosting providers to make your best match. Analytics, performed as part of a site audit, showed traffic and conversion from the start. The customer now possesses figures for later comparison when an SEO agency runs a second analysis. Traffic should be going up. If the business involved e-commerce, traffic should result in conversion more often than before. When a business operates from a real store, those conversion rates will show up in accounting books. And what if they don’t? Look for a website professional to supply a written guarantee of a refund if his efforts come to nothing.